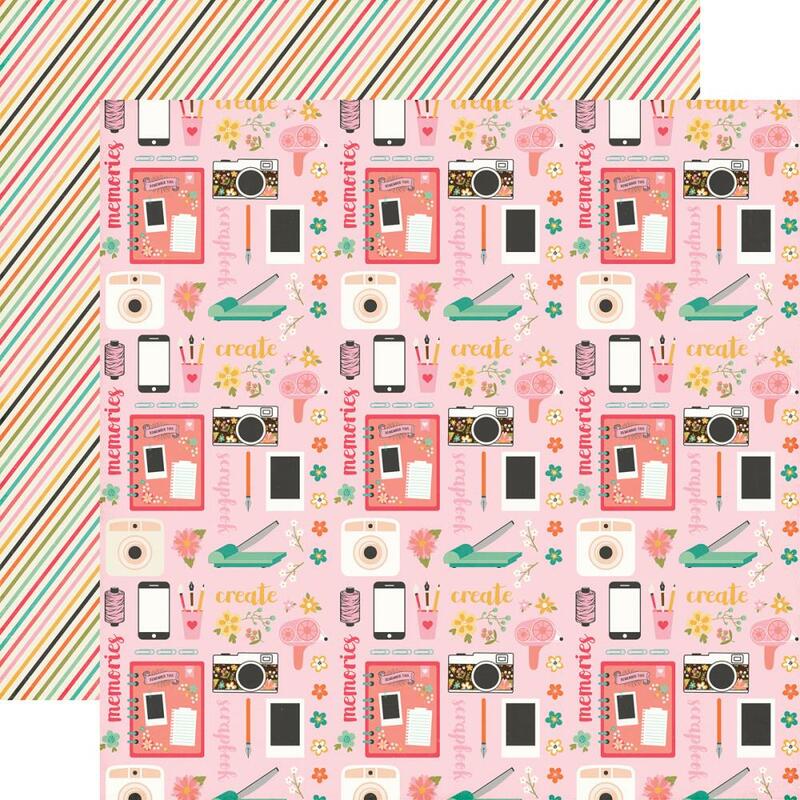 This 12x12 double sided paper has Images associated with Scrapbooking Creations on the frontside. The reverses side has Multi-Colored Diagonal Stripes. Part of the I'd Rather Be Crafting by Echo Park Paper. Look for coordination Stickers & Designer Papers.